Fits all Windsor style blocks with Small Block Ford timing cover. Comes with heavy-duty 3/4" ball/roller bearing. Left-hand inlet with back plate. 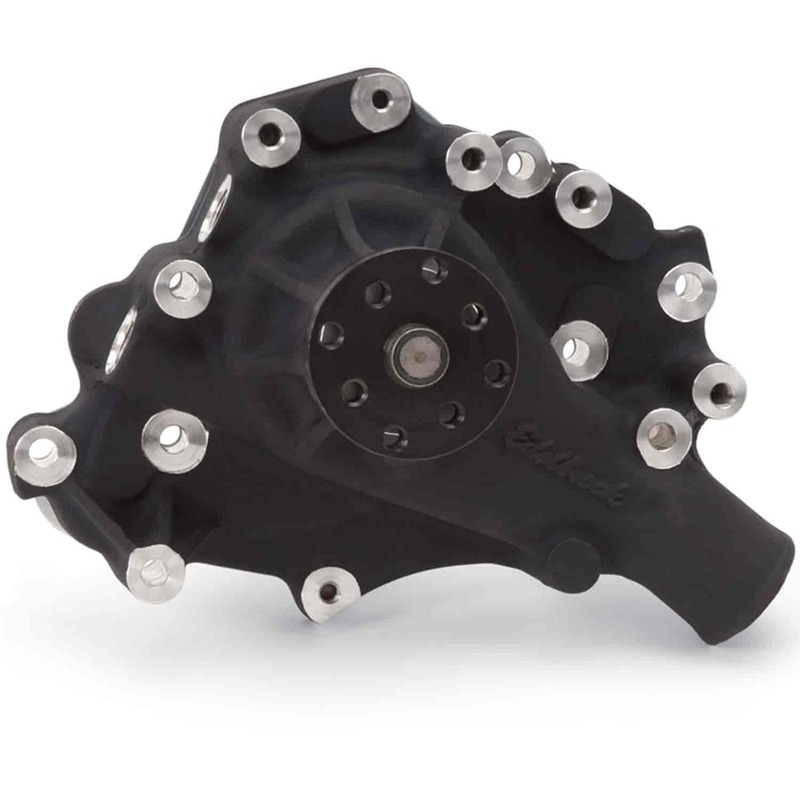 Dimension from block surface to hub: 5.70"
These competition water pumps are designed for circle track and endurance racing applications. They feature a revised impeller entry, a black anodized finish and .100" thicker rear cover for greater durability. The water pump housing is equipped with auxiliary AN or NPT water outlets to ease fabrication of custom plumbing systems. These water pumps provide maximum cooling with equal (+/- 1%) distribution to both sides of the block. By eliminating hot spots, the engine produces optimum power from every cylinder without detonation and pre-ignition. Other features include billet hub and heavy-duty ball/roller bearings. Dyno Tests show that Edelbrock Pumps deliver substantial flow as well as distributing water almost equally to both sides of the engine. Does Edelbrock 8833 fit your vehicle?